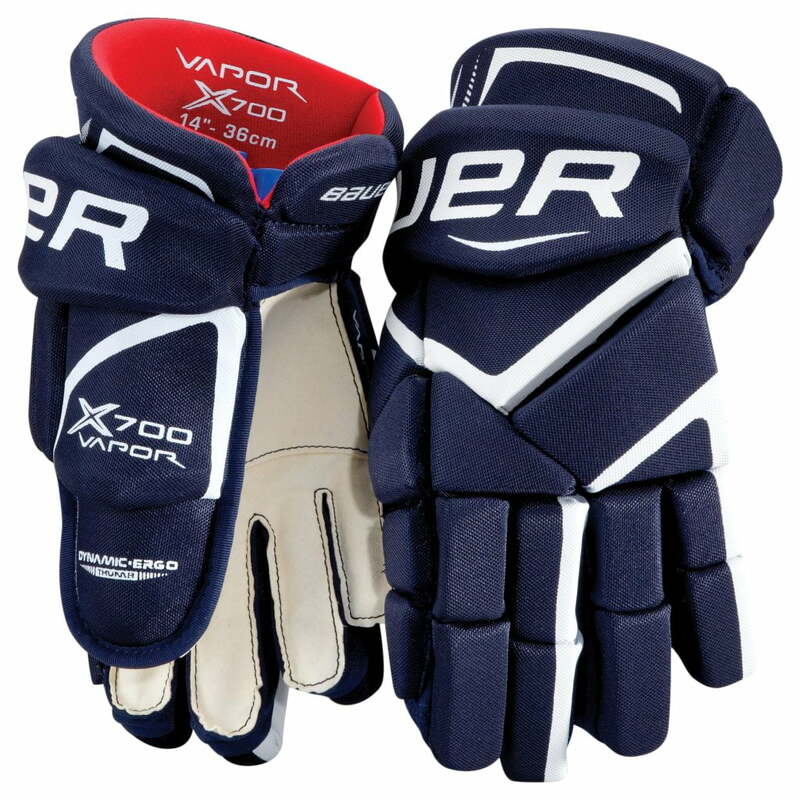 Bauer Vapor X700 Junior Hockey Glove | Sports Etc. The X700 glove is a tapered fit for flexibility, feel and protection. The mid density foam construction provides solid protection and lightweight feel. Hydrophobic mesh liner is great for breathability and comfort. Ergo Flex thumb allows for enhanced mobility and flexibility. Sports Etc Performance To Value Rating– 7 out of 10. Solid glove for anyone looking for a snug/tapered fit. Average protection and lightweight feel.